Liverpool have re-strengthened their position in the club’s long-running pursuit of Southampton’s Virgil van Dijk. The Dutchman emerged as a priority target for the Reds during the summer, with Jurgen Klopp having been keen to bolster his defensive options. 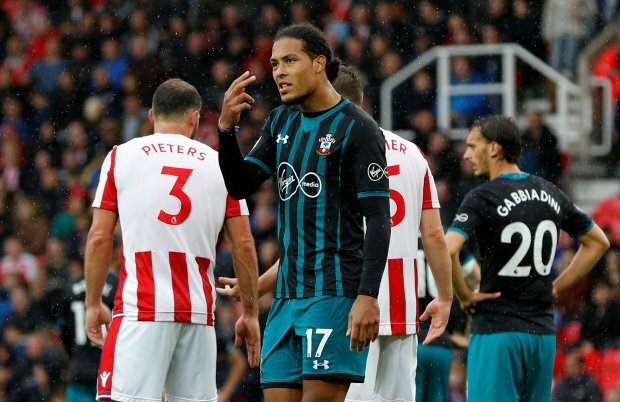 Alleged secret meetings between Klopp and Van Dijk led Saints officials to lodge a complaint, which proved to damage Liverpool’s chances of striking a deal. Despite the centre-back’s strongly-worded transfer request, no official offer was believed to be made as Southampton made their refusal to deal with Liverpool perfectly clear. Club president Mike Gordon has since “built bridges behind the scenes” with Southampton chairman Ralph Krueger, according to the Times’ Paul Joyce. Joyce also confirms in the report that Liverpool remain interested in bringing Van Dijk to Anfield when the January window opens. Regardless of Liverpool’s attacking power, the team’s costly defensive frailties make the need for reinforcements at the back undisputed. Nonetheless, Joe Gomez’s rise to form promises to give Klopp a tactical dilemma between now and the opportunity to add to his ranks. The 20-year-old turned heads with a composed England senior debut against Germany and a dominant performance against Neymar in Tuesday’s friendly against Brazil. He has primarily functioned as a right-back this season, but has often expressed his desire to one day feature regularly as a central defender. Thanks to his reliability of late and the inconsistency of Dejan Lovren and Ragnar Klavan, he may well get that chance before the turn of the year.